Gain confidence, clarity and power as a professional medium! You have a very special gift the world needs. 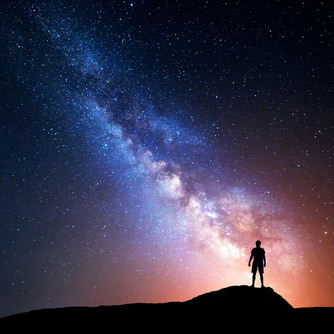 As a medium, you are a unique soul with an important mission here in the physical realm. The insights you bring through have the power to heal years of pain and transform the lives of those you connect with. I know it’s not always easy, but the work you’re doing is so worth it! You’ve already come far in your mediumship development. Now you’re ready to take your abilities to an even higher, more professional level. I’d be so honored to mentor you, to help you further tap into your innate talents, to empower you to grow your business, and to share the teachings that have helped me become successful. I’m here for you and so is Spirit. So, let’s begin to change the world! Want to become a sought-after medium who is known for astoundingly accurate readings? Feeling called to bring your healing messages to a larger audience? Want the proven tools for expanding your mediumship business? The JVP Mediumship Certification Level II is your next step! This exclusive 6-month graduate program focuses on increasing your accuracy, perfecting your message delivery, and expanding your platform. With me as your guide, you will learn advanced mediumship techniques and get personalized support in the areas you need it most. What Makes the JVP Spirit Apprentice Program So Unique? As a student, you’ll be teamed up with 10-15 other students. Your group will meet outside of class to practice the techniques and support one another in development. You will also use this group to conduct development circles. Advanced Mediumship Trainings – Over 50 Videos! Over 6 monthly lessons, you’ll strengthen your channel to spirit, improve your accuracy and message delivery, and more. Over monthly Q&A video conference calls for apprentice students only, you’ll learn state-of-the-art mediumship techniques that will help you in all areas of your development. I’ll take your questions and lead you through additional exercises. Hands-on Training – Join me for an Exclusive Workshop in San Diego! You’ll join me for an in-depth Apprentice Training Workshop in Encinitas CA September 30 and October 1 2019. * This two-day workshop is for Apprentice Students only and includes an advanced curriculum on communicating with spirit and delivering accurate, professional messages. Get personalized feedback on your readings and find out exactly what to do get to the next level! As part of this course, I’ll evaluate your readings at the in-person workshop. There’s nothing like being connected with like-minded souls who understand the ups and downs that come with being a medium! As a JVP Spirit Apprentice, you’ll become part of a close-knit community of students who will support you along the way, perhaps even for the rest of your life. You’ll also have access to a private Facebook group for Apprentice Students only. Receive several bonus meditations to help you deepen your connection with Spirit. Retake the course anytime, for as long as it exists. *Please note: Transportation to/from workshops/ events and room and board are not included in your tuition. It’s highly recommended that you attend the Apprentice workshop, but if you cannot make it in person a video will be available of a previous year’s workshop. How to totally open up, so Spirits more easily come through. The ultimate key to sustaining your connection for longer periods of time. The key ways your own soul is used by the Spirit world and how they work with you to fully form a contact. How you can physically be aware when you are in the “power” and able to totally open up to the Spirit world. Little-known mind focus exercises which will expand your mediumship abilities in a whole new way. How to redefine the quality of evidence you get from Spirit. How to delve into a memory, by reliving it from the Spirit, including the clothes they were wearing, what the physical environment was like and outstanding moments. How to find commonality with the Spirit and why this makes such a dramatic difference. Three unique ways to deepen your communication process. Ways to develop a new, highly extensive reference library to use in your mediumship. Advanced tools for letting the Spirit world BLEND with your mind. Work with your client’s unique energy to bring forth the messages they need. Use a physical mannerism the Spirit gives you to bring forth an entire message. Be a “story-teller” so you can bring the Spirit alive again in the reading. Express the Spirit’s emotions and personality. Attend the last day of a Spirit’s life and clearly describe it to your recipient. Open up to inspiration and make your readings uniquely memorable and healing. The correct structure to bring forth a message from the Spirit world. Several easy yet powerful techniques that will skyrocket your confidence. How to overcome anxiety you get while doing readings. How to recognize and use the soul’s colors to enhance your connection with your client. The steps to take when you’re having an off day. Magical techniques that will help you improve your message delivery. What to do when you doubt what you’re getting. Learn how to double link with another medium. Practice several different methods of conducting mediumship. Build an expert message using a name. Master the art of object mediumship. Engage in several fun exercises which will help build your expertise. Lesson 6: The, the Super Successful Medium! Unique ways you can build your platform and get new clients. How to uncover that which holds your soul back from its glory. Advanced ethics all professional mediums must follow. How to build a lasting connection with your clients and audience. Advanced marketing and business building techniques. How and what to charge for your work. How to understand the emotions of your soul…let yourself have a relationship with your own soul. You must have completed the JVP Mediumship Course Level 1 OR have been communicating with spirit for at least a year. Here’s what students have to say about working with James! The world needs the special gifts only you have. and make your professional dreams a reality! It’s tough to assign value to this course. How can you put a number on teachings that will help deepen you connection with spirit? But, I’ve done my best to give you some perspective below. Register Now and Save 36%! Special note: If you want to best price available, you save the most doing the one-time payment. Dear Friend, I’m confident Mediumship II will help you develop your abilities, as long as you do the coursework. So I’m offering a risk-free guarantee! Here’s how it works: Enroll now and join me for the first session. You must attend our first meeting and submit your homework, log into the school portal at least one time, and participate in the Facebook group. If you take this action and still find the course isn’t helping you, I’ll be happy to refund your tuition. Please note that refund requests must be submitted by March 14, 2019. 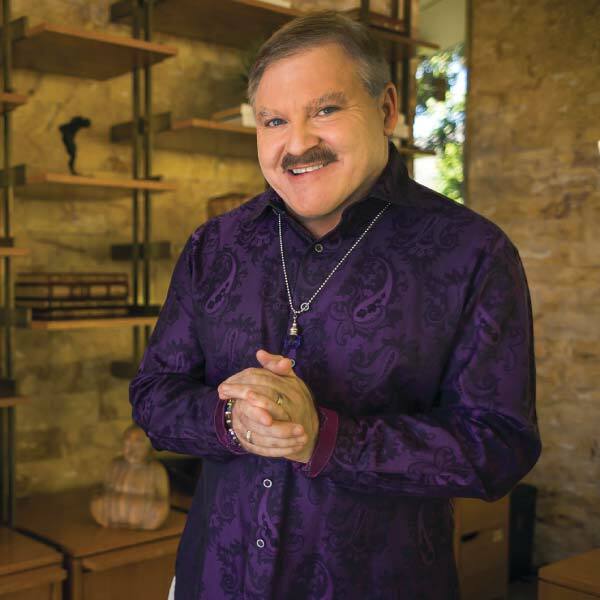 As one of the world’s most sought-after psychic mediums and spiritual pioneers, James Van Praagh has spent over 35 years helping millions of people connect with the Other Side. He has appeared on Oprah, Larry King Live, Dr. Phil and many other TV programs. He is also the author of several New York Times bestselling books, including Adventures of the Soul and Talking to Heaven. After finishing the course, you will need to do the following before being certified. Complete a Mediumship Thesis: This is a project on any aspect of mediumship you choose to research. You may write a paper, create an audio, or do a video. Create a five-year plan for your development as a professional medium. ▸ When does Mediumship II officially start? 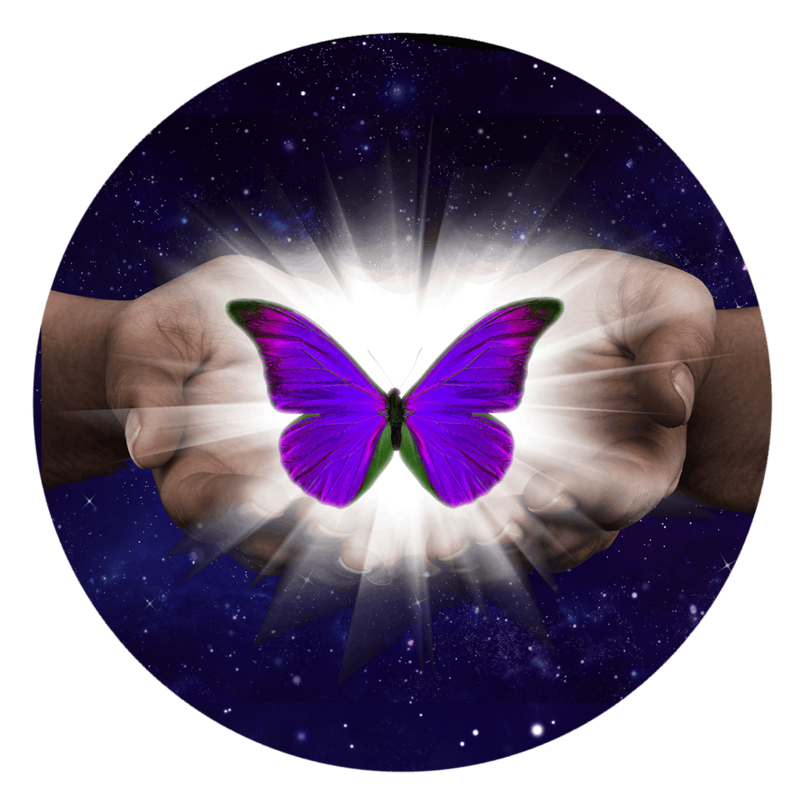 The first official Mediumship II lesson will be available in your account on March 4. The Jump Start program will take place in the 3 months prior -- from December to February. ▸ Can I still take this course if I have not taken JVP Mediumship Certification Level I? Yes. While James highly recommends you take JVP Mediumship Level 1 first, you may sign up for this course if you have been developing your mediumship for at least 2 years. If you need guidance on which course to take, please email us at help@jvpschoolofmysticalarts.com. ▸ I'm taking Level 1 now but have not finished. Can I still take this course? Yes. You can still sign up for this course so you get all the bonuses and early bird pricing. We would recommend that you do finish Level 1 by March 2019. If you need guidance on which course to take, please email us at help@jvpschoolofmysticalarts.com. ▸ How is this course different from Mediumship Certification Level 1? This Graduate program picks up where Level 1 left off. It delves into more advanced mediumship development and helps set the stage for business success. You will receive more hands-on support from James, though the workshops and evaluations. It includes 6 months of group video coaching. You'll also have the chance to network with like-minded students and form life-long friendships. ▸ What if I don't want to be a professional medium? Everything you learn can be applied to any type of healing or spiritual work. Over half of Mediumship II students aren’t working as professional mediums. We have many healers, teachers, psychologists, life coaches, and animal communicators. Secondly, the skills you learn will make a profound difference in your personal life. When you learn to communicate deeply with Spirit, you’re able to powerfully align with your true purpose and create an authentic life. ▸ What if I can't make the Encinitas workshop? You can still get certified even if you can't come to the workshop. However, we do strongly recommend coming if you can. If you cannot come, you'll receive videos of previous workshops to watch and you can do the exercises on your own. ▸ Where will the workshop take place? The workshop will take place in the Encinitas/ San Diego area on September 30 and October 1. The exact location will be announced by the end of February. ▸ Do I have lifetime access? ▸ When are the coaching sessions? The coaching session schedule is as follows - please note that each session is recorded and made available to all enrollees to watch on demand. So if you cannot make them "live" do not worry.